Bazjuuh (Top Vaffanculo): Vaffanculo and Coccada have a history this version. First time they tried to backstab us, so we shot them. 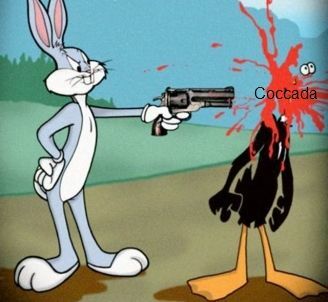 Then they wanted to come up again as Coccada. They assured that they wouldn't shoot us in the future, since their oldschool tops returned. If you make such promise, you don't shoot at the fam you make the promise to. Coccada shot at us the day after we shot Righelli. We don't want such situation to happen again in the future, therefore we acted asap when they got up again.